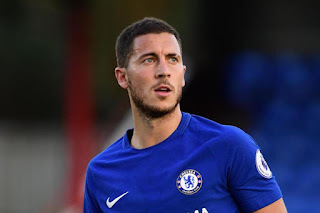 Leichester City manager Claude Puel thinks Eden Hazard meay need to leave Chelsea for on of the big club in Europe in order to fulfill his potential. Claude Puel was Eden Hazard's manager during his days at Lille. Claude Puel also suggest it is a matter of time before Hazard leaves Chelsea for a leading European "side. "After, i don't know if he has to stay at Chelsea or not - is that a problem?" He has all the qualities to play for all the great teams in Europe." "He can make the difference, so far he is top player in Europe."